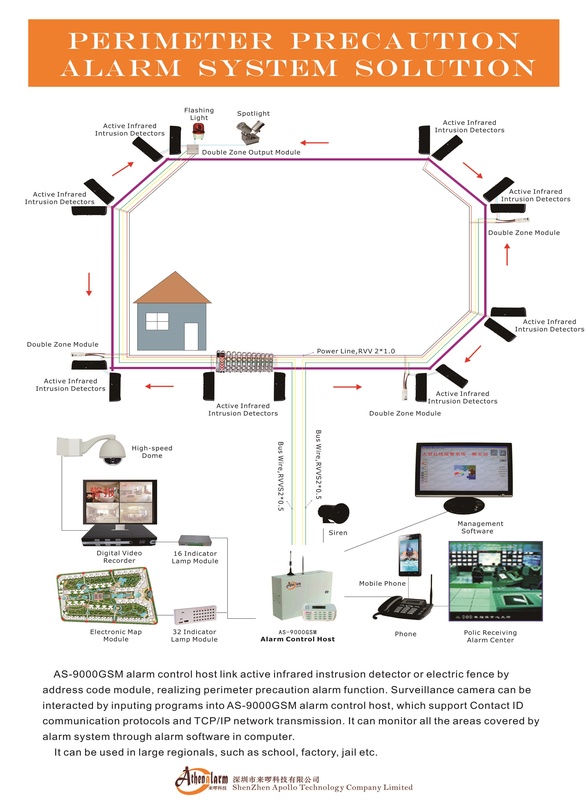 AS-9000GSM alarm control host link active infrared instrusion detector or electric fence by address code module, realizing perimeter precaution alarm function. Surveillance camera can be interacted by inputing programs into AS-9000GSM alarm control host, which support Contact ID communication protocols and TCP / IP network transmission. It can monitor all the areas covered by alarm system through alarm software in computer. It can be used in large regionals, such as school, factory, jail etc.